I am a huge fan of pulled pork. It’s really one of my favorite foods. Whenever I go get barbecue, it’s always what I order. 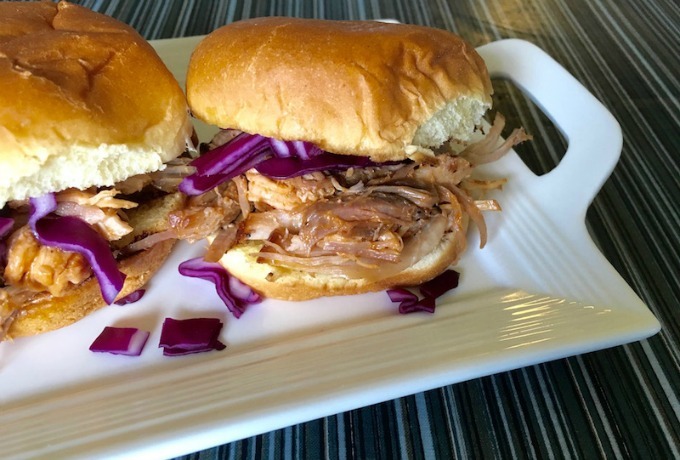 But, you can make pretty good slow cooker pulled pork at home. Now, it’s not going to have that delicious smoke ring, or that crusty edge that’s sooo good, but this is great for a Game Day gathering, or any ol’ evening at home.